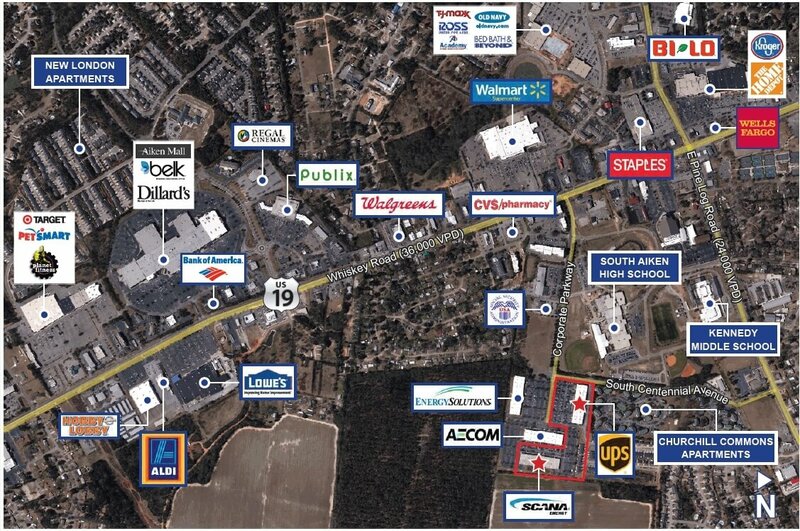 Located at 1991 S. Centennial Avenue, the 24.5-acre office park is well located near Augusta, GA and Charleston, SC. The Property is currently 75% leased to three tenants with strong credit profiles and staggered lease rollover, including UPS Supply Chain Solutions (“UPS”) (S&P: A+), AECOM (S&P: BB-), and Scana Energy Marketing (“Scana”) (S&P: BB) which is being acquired by Dominion Energy (“Dominion”) (S&P: BBB). AECOM has been at the Property since 1997, UPS since 2001 and Scana since 1999, demonstrating their long-term commitment to this location with an average occupancy in excess of 18 years.